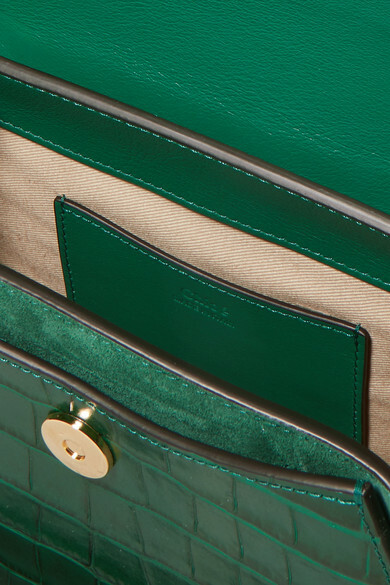 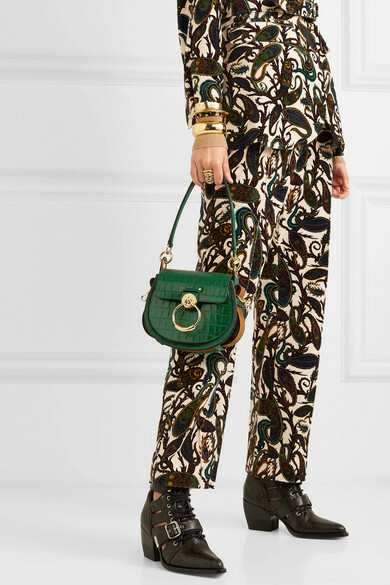 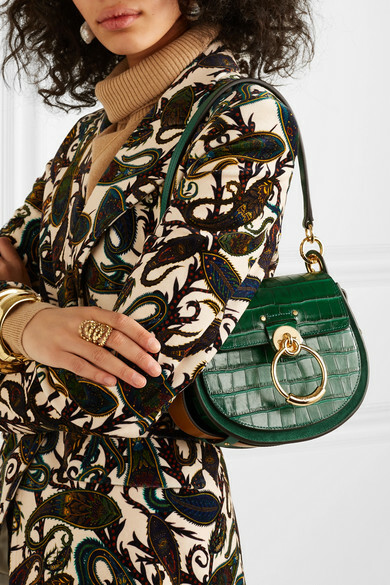 We saw so many shades of green on the Spring '19 runways, so it makes perfect sense that Chloé has re-imagined its popular 'Tess' bag in a woodsy shade for the new season. 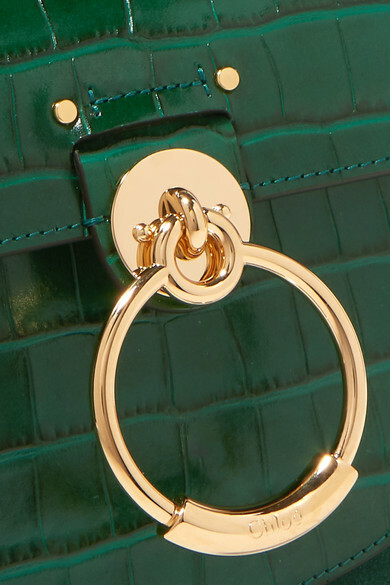 Made from croc-effect leather and suede, it's fitted with jewelry-inspired hardware and sized to fit just the essentials. 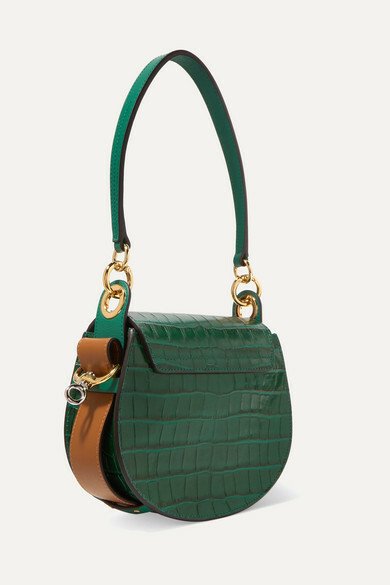 A tan leather band threads seamlessly around the bottom, accentuating the curved shape and complementing the optional shoulder strap. 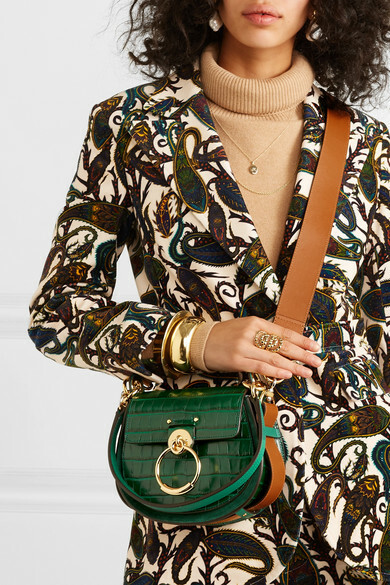 Shown here with: Givenchy Sweater, Chloé Pants, Chloé Blazer, Chloé Ankle boots, Chloé Ring, Chloé Earrings, Catbird Necklace, Monica Vinader Chain, Kenneth Jay Lane Bracelet, Ariana Boussard-Reifel Cuff.